With a scant two days left in Advent after this, I feel like we’re finally hitting our stride scotch name-wise. Three days ago I drank The Antiquary. Yesterday I feasted on the gladiatorial glory of SEPTENDECIM!!! 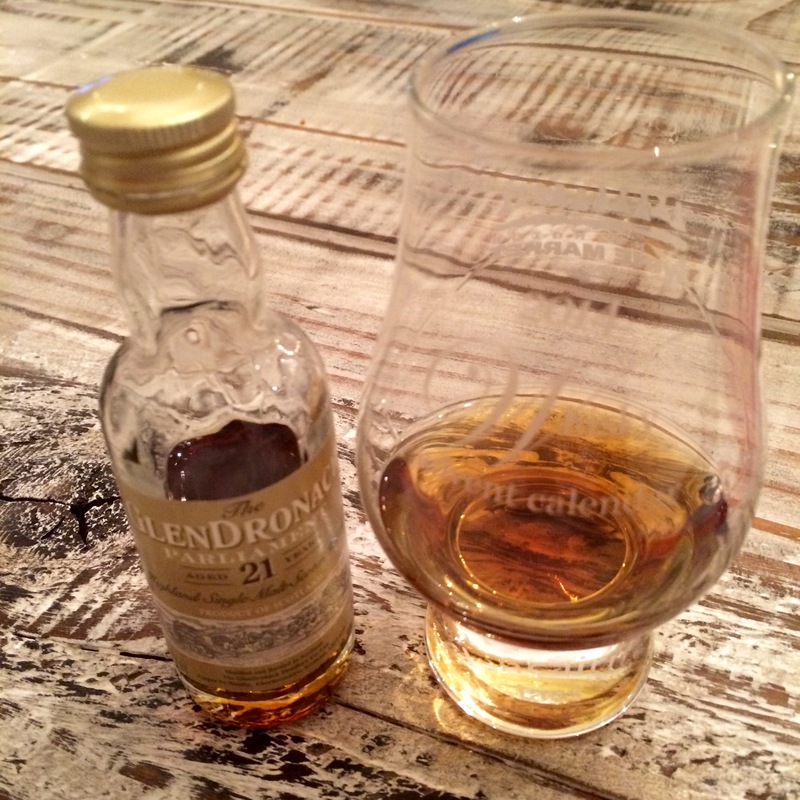 And tonight it’s back to aristocratic class with GlenDronach’s 21 Year Highland single malt, simply called Parliament. If you’re not going Latin, go governmental – I approve. I hope GlenDronach has a Senate, Cabinet and Supreme Court in the lineup somewhere. The first and most obvious thing about the Parliament is its incredible, rich, steeped-tea colour, fully reflective of 21 oxygen-rich years of barrel age. Each smell is at once spicy, salty, malty and sweet, all lovingly interwoven, spinning out notes of ginger, treacle, something I’ll call cabane a sucre (maple syrup on snow), pecan, ocean water, and even some dark blueberry/saskatoon berry fruit. After two sniffs I guessed PX (Pedro Ximenez) sherry barrel maturation because of the depth of colour and the briny/sugary aroma mix, and I was half right: the Parliament was matured partly in PX and partly in my most hated Oloroso sherry casks. I’ll take it. The flavour rolodex keeps rotating on the palate, melding coffee grounds, pistachio, burnt honey, toffee, black licorice jujubes, cloves and cinnamon. It tastes as delicious as it sounds. This is spectacular. My favourite yet?